Nest of Oval Bowls, 17 x 33 x 24 to 5 x 10 x 8 cm. Wheel thrown and altered wood fired salt glazed stoneware. 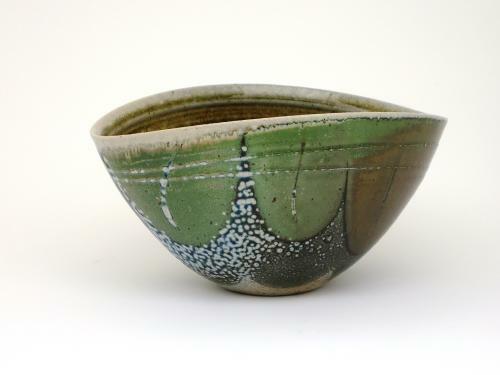 Oval Bowl, 10 x 19 x 14 cm. 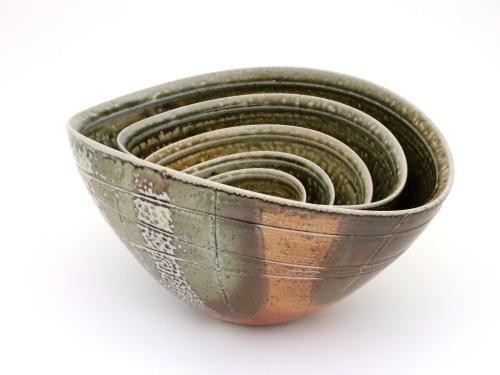 Wheel thrown and altered wood-fired salt-glazed stoneware. Jug, 18 cm (H). Beaker, 9 cm (H). Wheel thrown wood-fired salt-glazed stoneware. 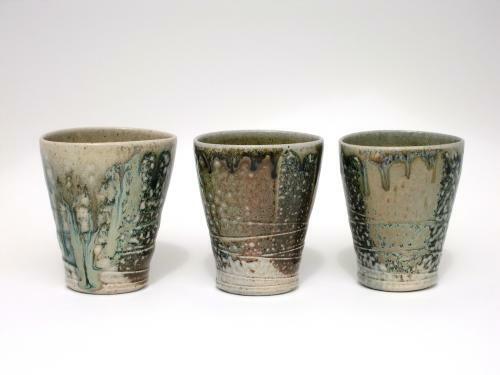 Small Beakers, 9 x 8 x 7 cm. Wheel thrown wood-fired salt-glazed stoneware. Spoons, 4 x 10 x 7 cm. 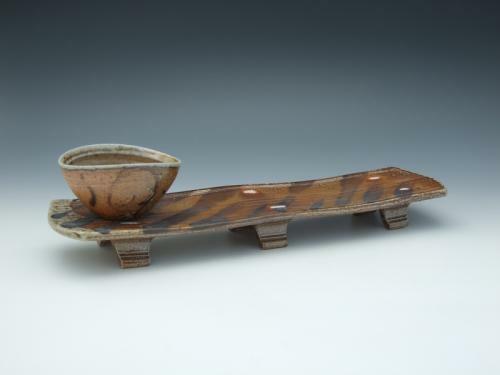 Wheel thrown and altered wood-fired slat-glazed stoneware. 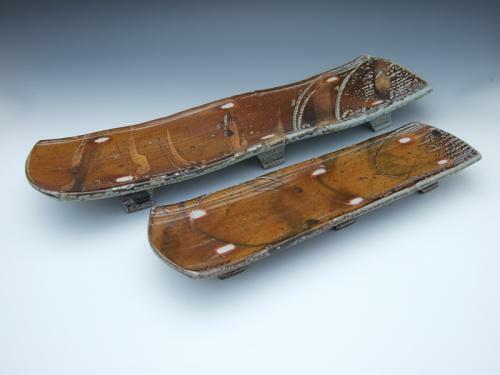 Footed platters. Wheel thrown and altered wood fired salt glazed stoneware. 2007. 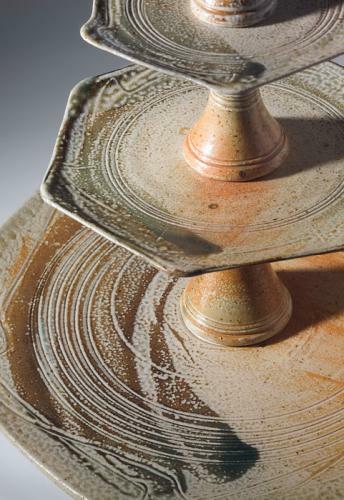 Footed platter and sauce dish. Wheel thrown and altered wood fired salt glazed stoneware. 2007. 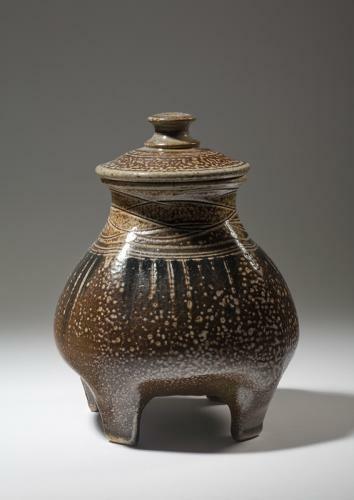 Footed lidded jar, 19H x 13L x 13W cm. Wheel thrown and altered wood fired salt glazed stoneware. 2007. 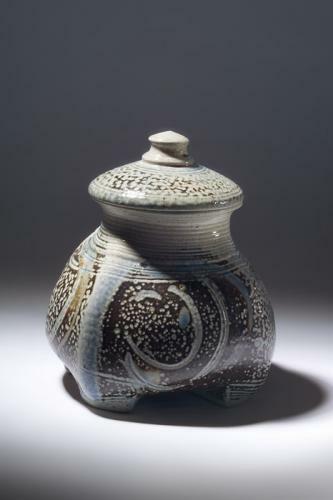 Lidded Jar, 16H x 13L x 13W. Wheel thrown and altered salt glazed stoneware. 2006. Three tiered cake stand. Wheel thrown, altered and assembled. 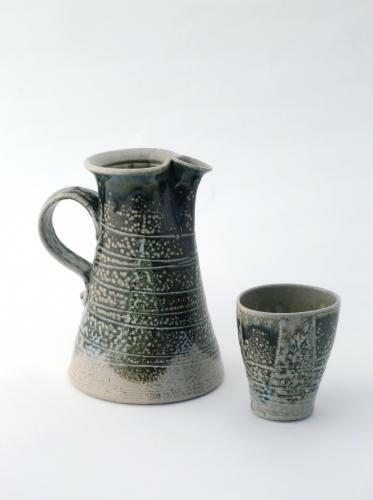 Salt glazed stoneware. 2006. 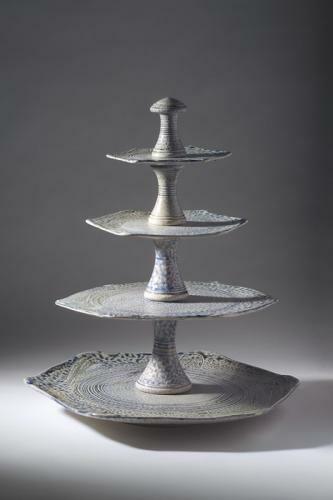 Four tiered cake stand. Wheel thrown, altered and assembled. 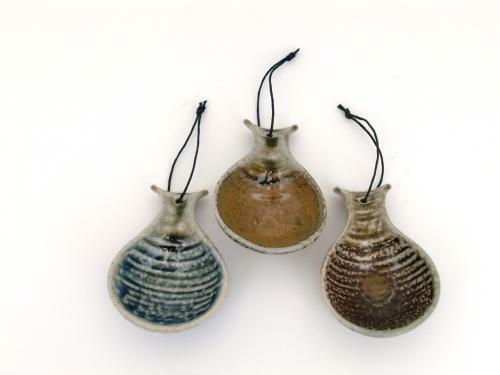 Salt glazed stoneware. 2006. Nest of squared bowls. 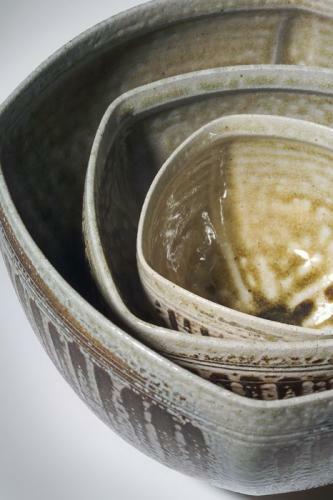 Wheel thrown and altered salt glazed stoneware. 2006.